The computer has several easy-to-read status indicators. 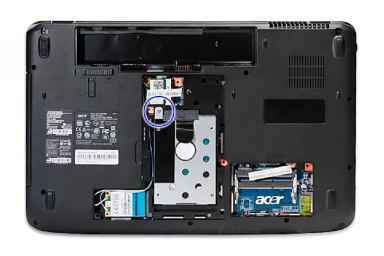 The front panel indicators are visible even when the computer cover is closed. Indicates the computer's power status. Indicates the computer's battery status. NOTE 1. Charging The light shows amber when the battery is charging. 2. Fully charged The light shows green when in AC mode. 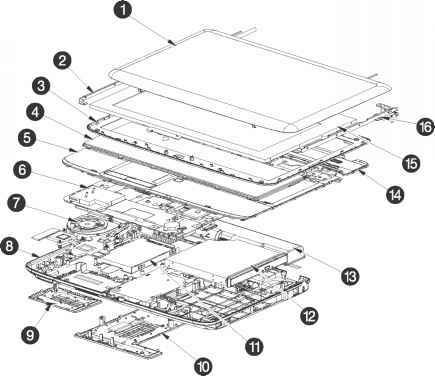 See Removing the Battery Pack on page 44. 2. 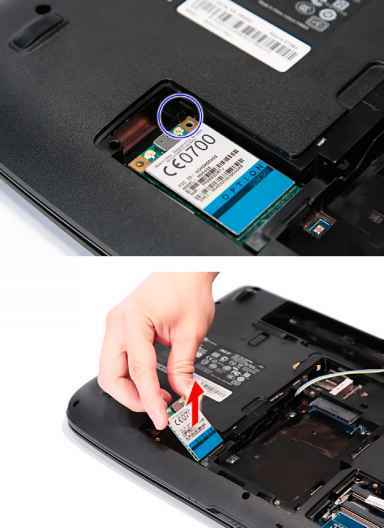 See Removing the SD Dummy Card on page 45. 3. 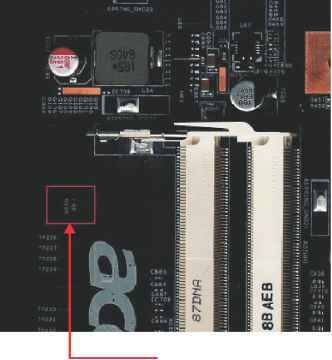 See Removing the DIMM Module on page 46. 4. Remove the two captive screws and three screws A securing the back cover. 5. 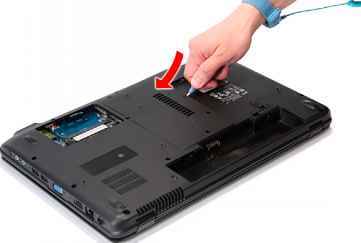 Use a plastic screw driver to carefully pry open the back cover. 6. Remove the back cover from the lower case. 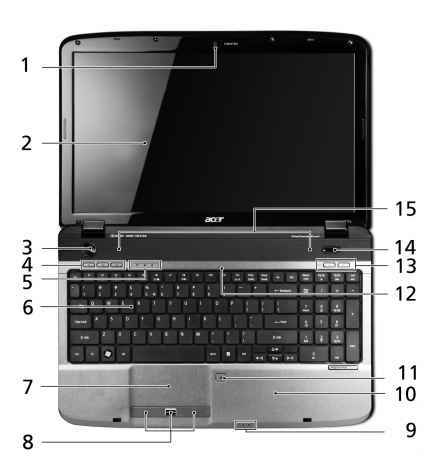 This section teaches you how to remove HDD password If you key in the wrong HDD password thrice, HDD password error code will appear on the screen. See the image below. 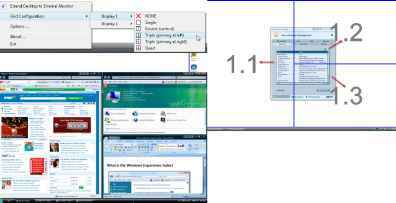 If you need to solve HDD password locked problem, you can run HDD_PW.EXE 1. Key in hdd_pw 15494 0 3. Choose one of the uppercase strings Reboot the system and key in 0KJFN42 or UVEIQ96 as your HDD user password. Reboot the system and key in 0KJFN42 or UVEIQ96 as your HDD user password.